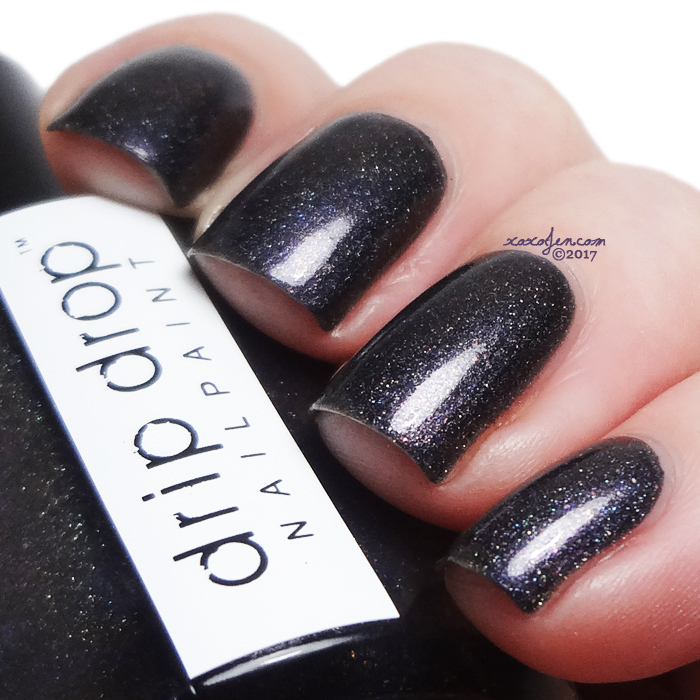 Today's launch features week 12 polishes from Dollish Polish and Drip Drop. 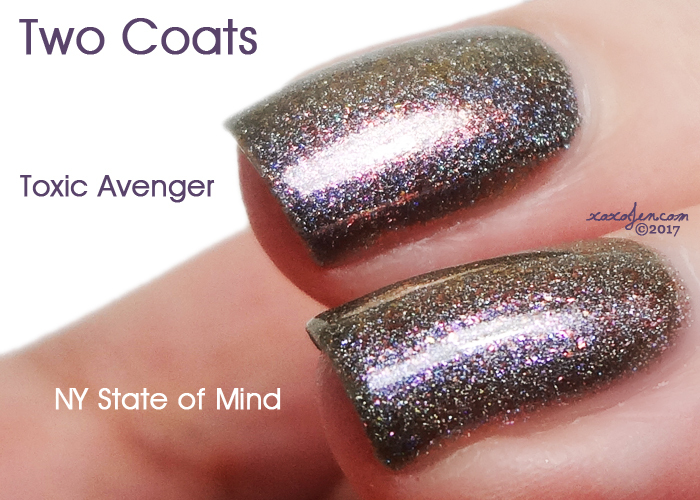 A gunmetal grey super linear holo with purpley/pink shifting micro flakes. 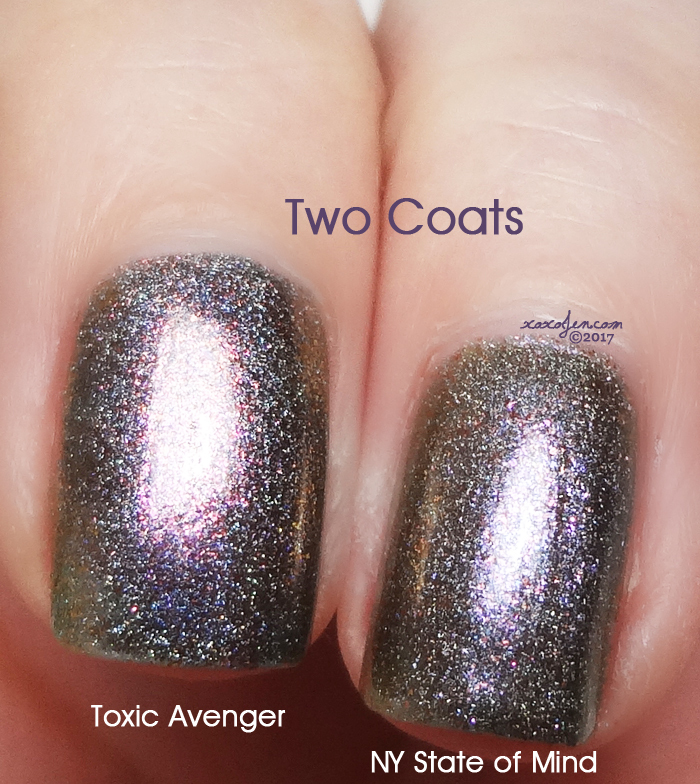 I wore two easy coats with topcoat. Toxic Avenger V2? I think so! 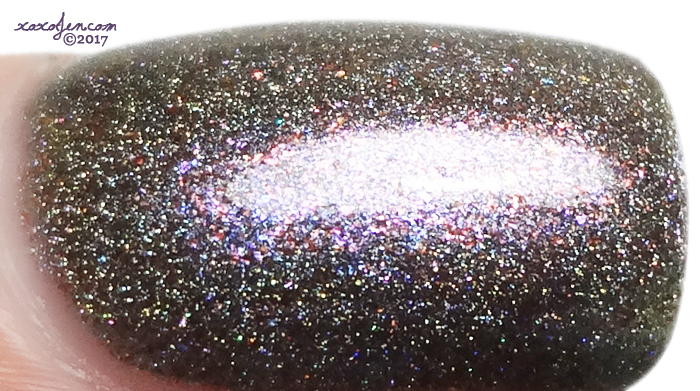 This polish starts with an olive green jelly base, packed with shifting shimmer flecks from gold to pink and holographic pigment. 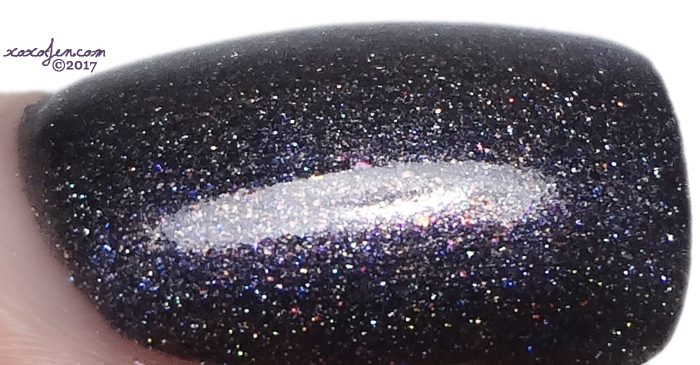 This mix makes the polish look totally different in different lighting situations. 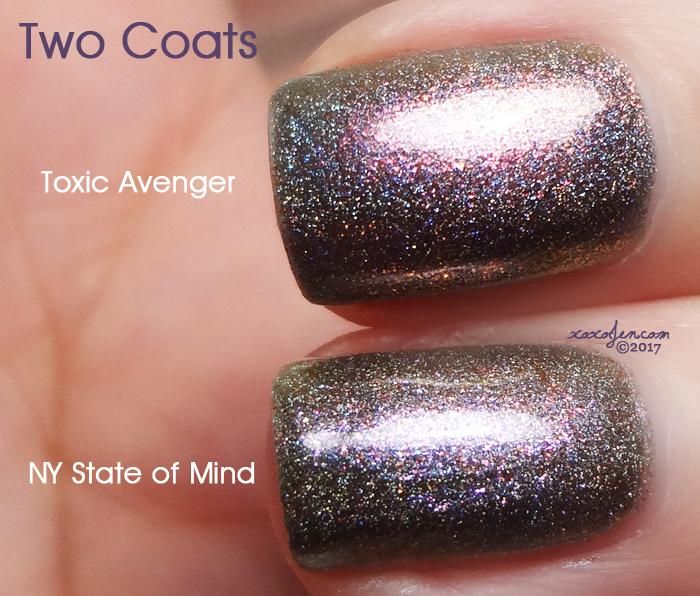 I wore two (heavy handed) coats for opacity and topcoat for shine. 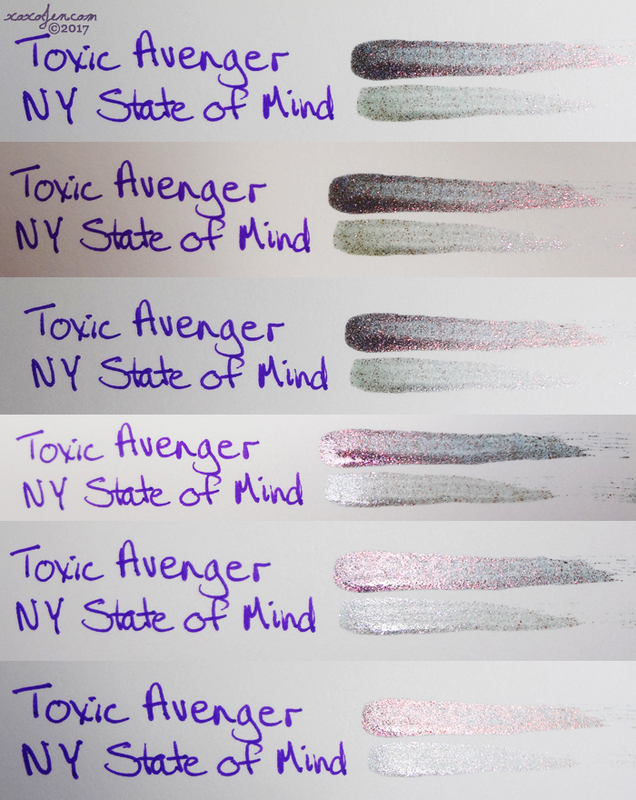 Still wondering about whether this is Toxic Avenger V2? Decide for yourself! 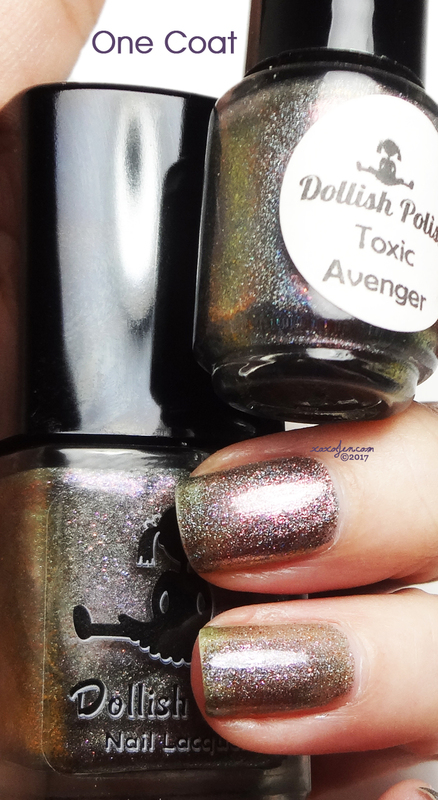 For those of you that aren't familiar with Toxic Avenger, it was one of the very first polishes in the indie world that was holo and multi-chromatic/shifting. It was stocked at Dolly's shop several times, and I kept putting off the purchase because I thought it would be available for a while, but then the supplier discontinued what Dolly used to make it. The last batch sold out of the shop before I could blink, and I missed it. Finding it on the second hand market was really difficult. No one was willing to give it up and when they did, the price was astronomical. After maybe a year, I was able to find a mini at a message board that I was able to swap for. So if you are even remotely interested in NY State of Mind, pick it up! You'll be glad you did, it's gorgeous!